This time of year the memories of Margaret just keep flooding back. I seem to see and hear her in many different places as well as the influence she had on my life then and now. I found this track on one of my searches to find something that would fit especially for today. I was sitting in church last Sunday with mixed feelings as the 31 January was soon upon me. 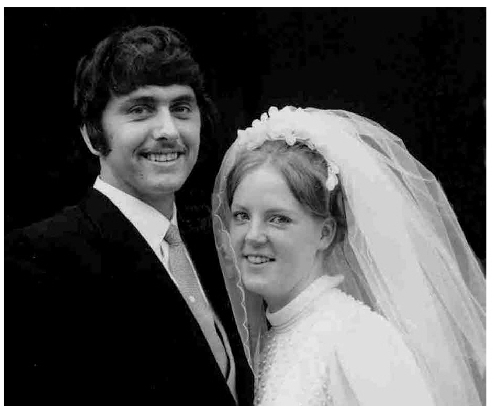 I wrote on the 28th December my thoughts about meeting Margaret for the first time 50 years ago. What was to unfold over that week in 1968/69 and more importantly the next 48 years was beyond my wildest dreams. A dream it was to spend and to be married to such a wonderful and caring person. I was reading the other day how much you can learn from each other in a relationship, no matter what is thrown at you as a couple you adapt and learn to cope. I was blessed to have met such a wonderful person, words can never really describe how much I loved Margaret and so miss her smile and raucous laughter. like your presence is so near. your face when you were here. we will never be apart. I have you in my prayer. It is hard to believe but on this day 28 December 1968 I was to see Margaret for the first time before we went north to Aviemore. There was some joking on the way north at my expense getting me to pronounce some Scottish names I was doing not bad until they asked me to pronounce machine I fell for it pronouncing it as MacHine etc no just plain old machine they quipped. What happened over the next few days was to change our lives forever. 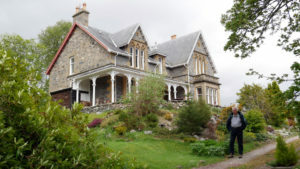 I remember the snow came around NEW YEARS EVE such that we were locked out of the youth hostel at Newtonmore it was cold we had to wait till 6.30 till we could get in. Even 50yrs on it is hard to explain what was taking place between two young people other than we found something that was to bond us together for the next 48 yrs. 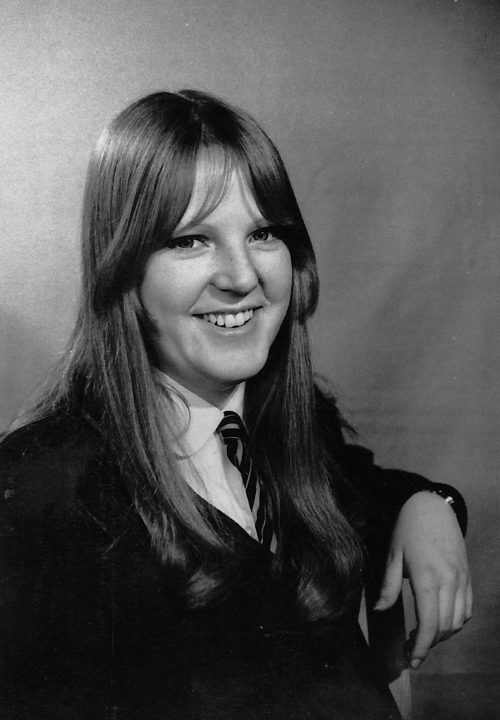 Sadly we said good bye to each other around January 5th and did not see each other again till Easter 1969. The postman was busy in both directions over the next 13 weeks – we found out so much about each other in those letters. Margaret and I were to have a wonderful life together till she passed away on 31 January 2016. It is that time of year when I have to come to terms with my thoughts as the 16 September approaches. Over some recent weeks listening to music tracks or hymns at church that have a resonance with me and remind me so much of Margaret. In the last couple of months, I have been in been some dark places and it is only thanks to my family and friends that I get the help I need. 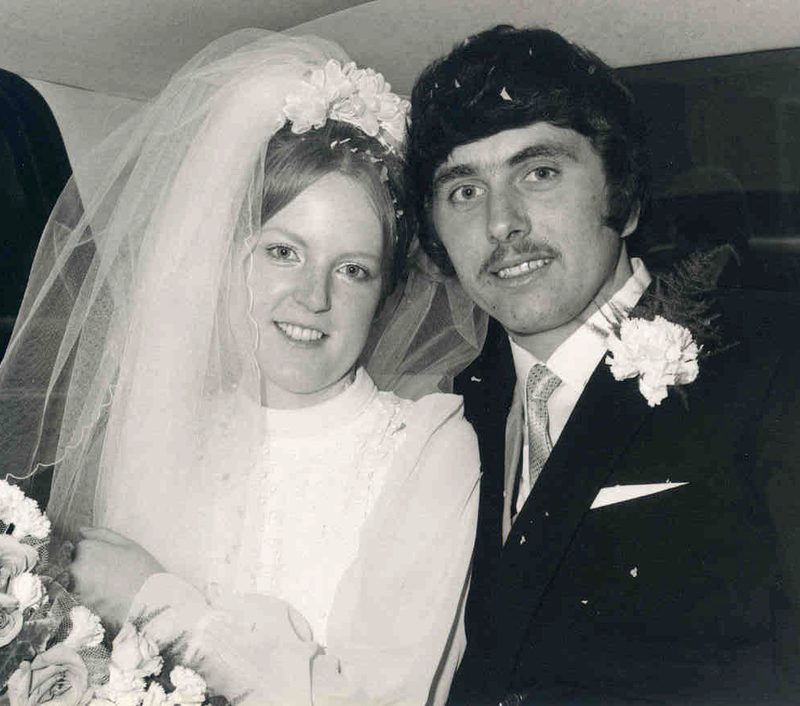 When I was putting together the video to take to South Africa in December 2016 I read all the letters that Margaret and I wrote to each other over the period from January 1969 till September 1970 – 200 in all. In reading them I found a poem that Margaret wrote in April 1969…. For love between two, which will not be destroyed. The one and the other are united as one. As if geared to tomorrow, its hopes and its sorrows. Together we two will be united as one. This was just a short extract but it sums up what this day on 16 September 1970 meant so much to us and thanks Margaret for 45 wonderful years. What on earth was happening last Saturday – Matthew let me know that he was doing the Tough Mudder at Drumlanrig Castle near Thornhill, nr Dumfries. Do you want to do it dad – no but I would love to come down and watch. So an early start for Matthew and his group and yours truly a 40 plus mile round trip. Now when I say mud I mean mud and plenty of it. The heavens opened up for most of the morning and not all that warm either just in consequence to make it mudder or could I say murder. Now this is not counting the twenty obstacles they had to complete. Arrived just about 9 am and missed Matthew starting so sort out map and made my way to about mid point again no idea where he was – kept asking what time did their group start and eventually got close to 9 am about 2 hrs in I could see him coming down the hill with the Awesome Team in tow. They were about 4 miles in so made a rendezvous to meet him guess where the mud smile so they went to complete loop 1 and I trekked up the hill to meet them there. It took me about 20 minutes so I guessed about 1.5 hrs before they would arrive. Now the mud smile is a series of open ditches with knee deep water and lots of mud which is followed almost immediately with a 200yards of mud ankle deep. A chat and off they went to complete second loop see you at the end. To complete they had to mount the Pyramid to the top but first get into knee deep water (actually cleans the legs) but makes the slope wet. The team did very well as a team getting to the top. I can only congratulate them for a BRILLIANT TEAM EFFORT not sure about the smiles maybe of pain and yes we did it The Tough Mudder. Postscript Matthew said on Sunday morning I feel as through I have been hit by a truck. 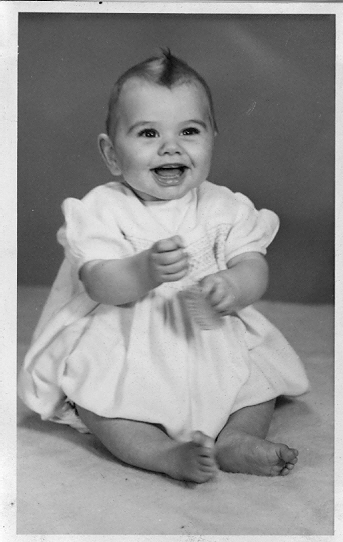 On this day in 1948 at Sutton Coldfield Cottage Hospital which was a Sunday Michael Alfred was born a son for Arthur and Elsie Abbott. This mad world was joined soon after by two sisters Jennifer and Margaret. Gosh how do you remember 70 years I can struggle to remember last week sometimes (age I think). My early years were ones of play in the my home village of Minworth all sorts of scrapes, 30 aside cricket matches on the village green and just as many playing football. I joined the Boys Brigade in Walmley which saw me in 1966 be awarded my Queens Badge and The Duke of Edinburgh’s Gold award which was awarded in Buckingham Palace on April 22nd. My mum was there in the Place ballroom to see me receive the award from Prince Philip. My working life began as an apprentice Electrician with the Birmingham Tame and Rae Drainage Board (now Seven Trent) culminating in being given my papers to trade as an electrician in 1969. I moved to Glasgow in August 1969 and had jobs with Scott’s in Finnieston and Boroughs Adding machines in Cumbernauld before securing a job with the BBC. What took me to Scotland – I had met Margaret the previous Christmas (see previous posts). The BBC job was the most exciting of jobs working in the Television Centre and lastly in Glasgow where I eventually moved from engineering to production in 1978 and promoted to Head Of Sport (1988) in BBC Scotland before reorganisation changes various titles. I was lucky to travel all over Europe and attend four Olympic Games from 1992, three Commonwealth Games from 1994, Winter Olympics in Nagano 1998, World Cup in Rapollo, Italy 1990 and ran Scotlands coverage of Euro96 from Stratford upon Avon. See blog posts else where re early retirement in 2004, Open University Degree 2012. Thanks to everyone who came along to my bash and especially thank you to Matthew and Fiona for organising it and me for not asking questions I had no idea who was coming. The pictures are just some taken at the pre Birthday bash on Saturday May 5th 2018 yes that is me on the bouncy castle. Thanks for reading – to be updated in many years at the next milestone in my life. Glasgow begins to move again. Trains were all off for a couple of days and gradually a limited service is operational. No post this week so far and supplies in shops limited but expect supplies will start getting through today Saturday. It will be a few days before the snow melts but the forecast is for cold nights with temperatures below freezing. Last week before the storm I had dug a fair bit of the veg plot and covered the new strawberry bed so no snow on it and placed cloches where the parsnips and onions will be sown and planted. A bit of fun with some photos in the snow, Easter Island man has never seen snow, Gargoyle has got its hat on but cannot see and the duck just manages to see above the drift. Who knows if we have a another dump this spring? Well here we are on day two of the Beast from the East. It would appear that we had a few more cm’s overnight with all my tracks filled in from yesterday. The Lexus is till with its snow coat on to keep it warm. The M73 motorway slip road near Carrick Drive was closed from early morning as vehicles could not get up the incline. Buses are running a half hourly service and I understand no trains at all on our city route to Queen Street. No bowls for me as our street had very cars negotiating the foot deep snow, all turning to mush now but it is now so cold I have the icicles forming on the gutters. One of the other pictures is our local co-op store with empty bread shelves I think it has been like this since yesterday. Freezing temperatures overnight and Emma arriving from the south all makes an interesting overnight period. Yesterday 27th we had what can only be described as a prelude to what was to come overnight. The day time temperature was very cold yesterday – we in fact had a power cut at the West of Scotland Bowling so home within the hour at 11-30 am. Out a church meeting till 9 pm and no sign of what was to come during the night. The pictures best describe the scene this morning I estimate approaching about 6” plus at the rear which faces east. The car will remain in its blanket of snow just now. It took me about an hour to clear a path through to the front of 62 – I only cleared enough snow for the wheels as there is so much. Just as a comparison we had virtually no frost or snow in 2016/2017 winter period – we have made up for it big time and so late in the Winter/Spring cycle. Thankfully this late on it does not last long – I hope. 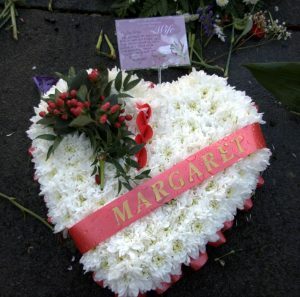 It is two years today that Margaret passed away. Each day that we spent together was a pleasure. The last few days I have re read my posts from last year reflecting on that week in 2016 at the end of January/February. I had so much support from my family and friends that made my loss that more bearable. This last couple of years have been ones of reflection and hope for what is to come for me and my boy’s families at the loss of their mother and my life long soul mate. I picked up a card the other day which I wish to share the words with you which so summed up my feelings right now. and help us face each tomorrow.